#RRR: NTR's Trainer Ends Rumours! 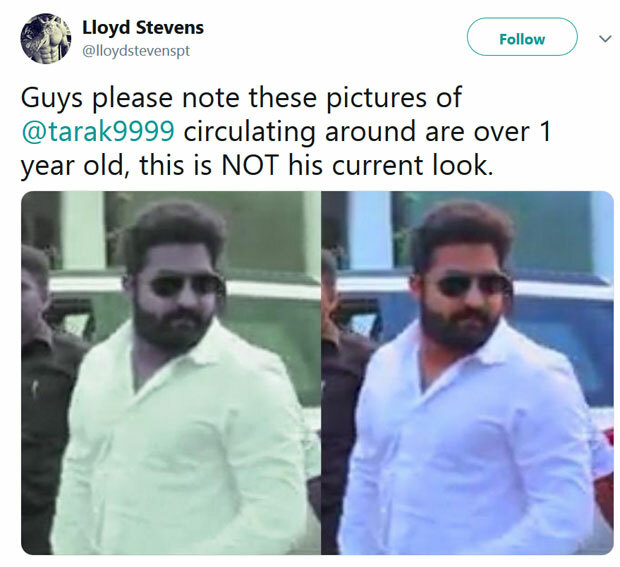 Since few days, Few Photographs of Jr NTR has been doing rounds on the social media. Tarak's beefed up avatar gave an impression that he might have gained few pounds for #RRR. So much discussion kept happening on the bulk look of the Actor ever since then. Finally, NTR's Personal Trainer Lloyd Stevens has put an end to all the rumours. He clarified those pictures in circulation are over one year old. 'This isn't his current look,' confirms the Fitness Expert. NTR is yet to wrap up the first schedule of #RRR. Clarification from the Trainer hinted Jr will be in good shape for the biggie. Rajamouli began the shoot with an action sequence featuring Tarak and Charan. YV Vijayendra Prasad provided the script for #RRR. MM Keeravani scores Music. DVV Danayya bankrolls this crazy project. First Look: Nithya Menon In Jayalalithaa Biopic! Is Theatre business so successful?